Enough of that, let’s get to the decor! This year, I decided upon a more mature look that represented my style while still be comfy enough to use as my personal study nook. Much of my room decor was purchased on sale, found on Amazon or an amazingly DIY craft by mother. The overall pieces of my room features most likely black and gold with whites to balance out the room. Small, mostly circular, mirrors are placed all around my room as the reflections and angles create the illusion of more room. They’re also very useful for getting ready at the last minute! My bedding was the deal of the century! 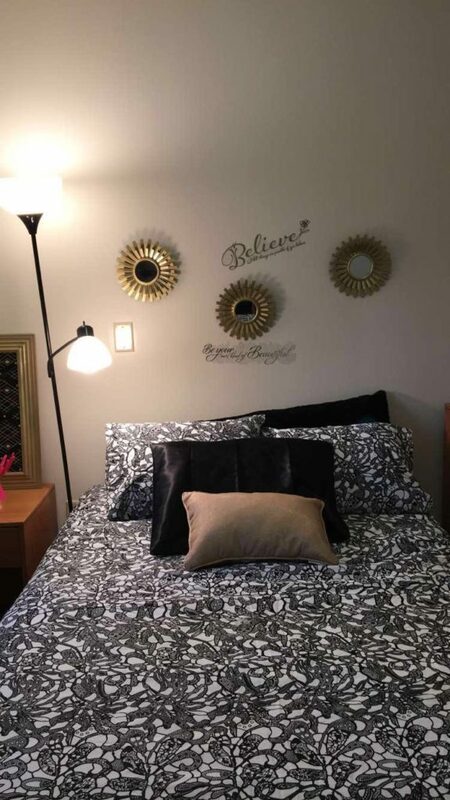 I purchased the duvet cover from Dormify.com on clearance for a reduced price of $20, the original cost was about $80! My favorite part of my room is my study area. 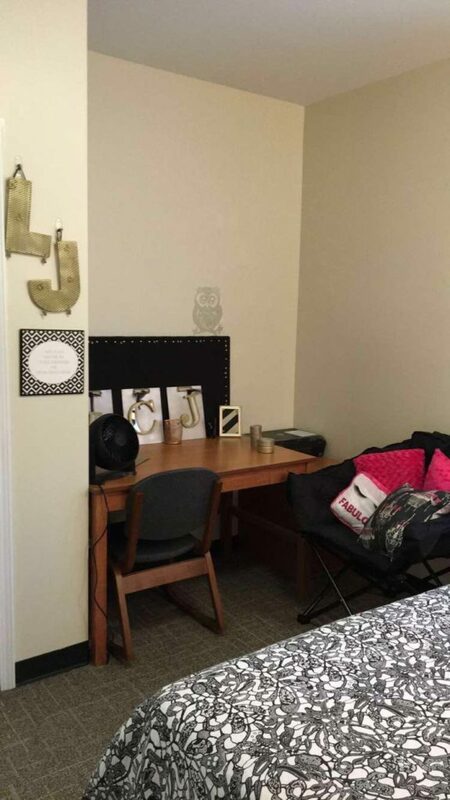 My freshman dorm desk was way too cramped and small for me to effectively study, however this desk has enough room to spread out all my papers. My mother created a bulletin board and cute clipboard decorations to post inspo-notes, important dates and calendars. The circular cans are stylish pushpin, paper clip and stationary tool holders. Next to my desk sits a printer and a drawer for extra storage. Next to the desk is my “guest chair” since I prefer people to not sit on my bed. 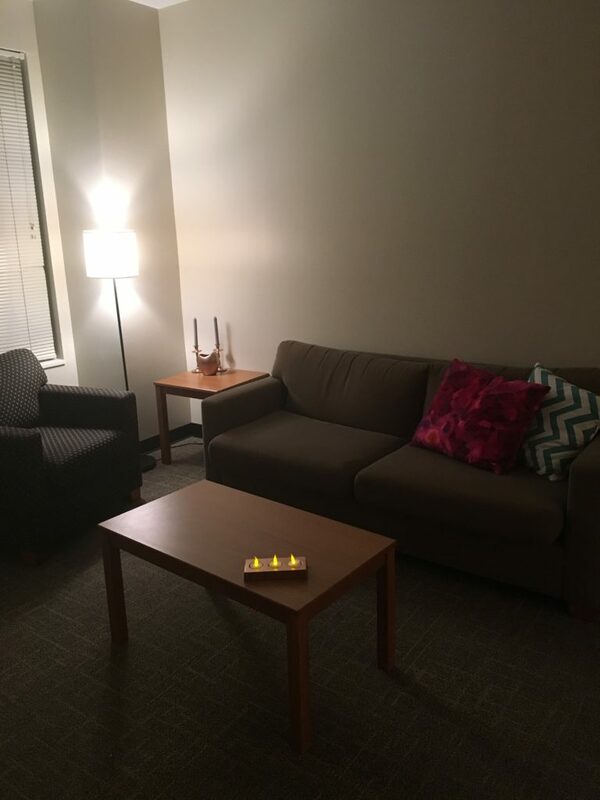 The pink and printed decorative pillows help to dress it up while also adding pops of colors to the room. Lastly, the kitchen and living room are common areas between my three roommates and I. 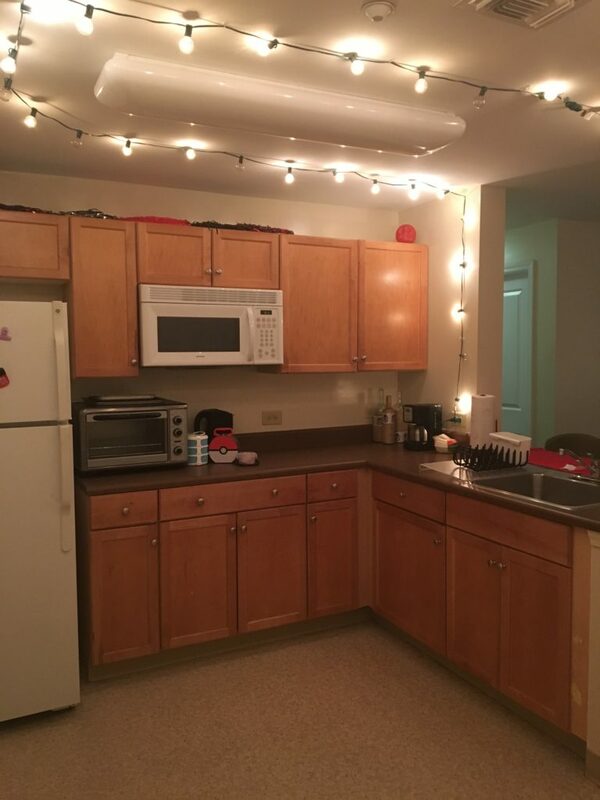 The kitchen is instantly illuminated through Christmas lights that do a much better job than the dorm’s florescent lighting. And, of course, there are red and black school color accents to ensure our school spirit is always present. For the living room, we all kept it minimal with a few decorative pillows and touches “home-y” accents. Back in college, ready to go to college?! 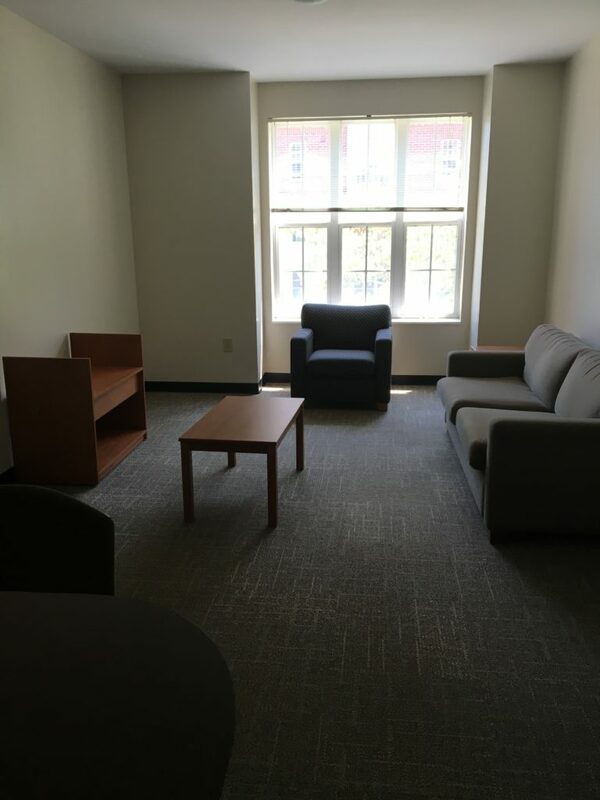 Tell me your dorm room ideas and send pictures to share in the comments and social media links!